Please join us for this amazing day of community volunteering! 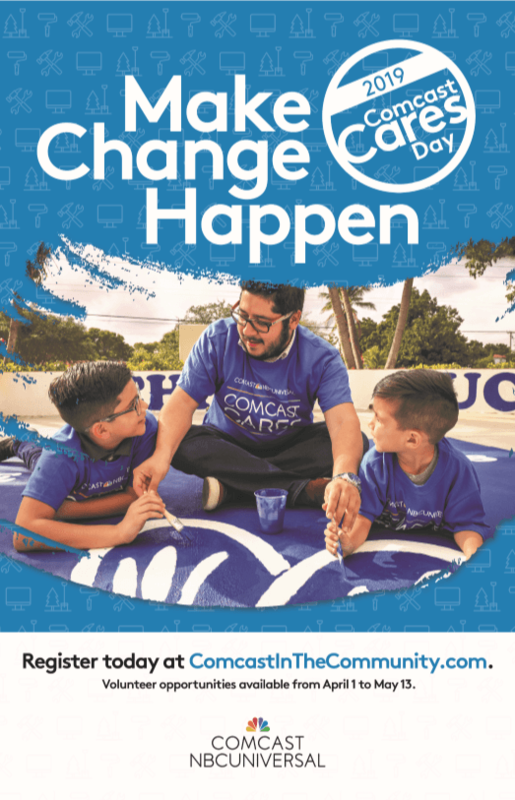 Comcast Everett has partnered with Interfaith Family Shelter (again!) for their annual Comcast Cares Day. Register early to reserve your t-shirt! All ages are welcome! We need as many volunteers for May 4 as possible! Register here. Parking and staging for our event is across the street at Perpetual Help Catholic Church. 2519 Cedar St.
Coffee and breakfast snacks provided in the morning and lunch provided in the afternoon. Will have a couple of kids projects on-site.